Looking for rugged good quality and low powered GSM & GPRS chipset? 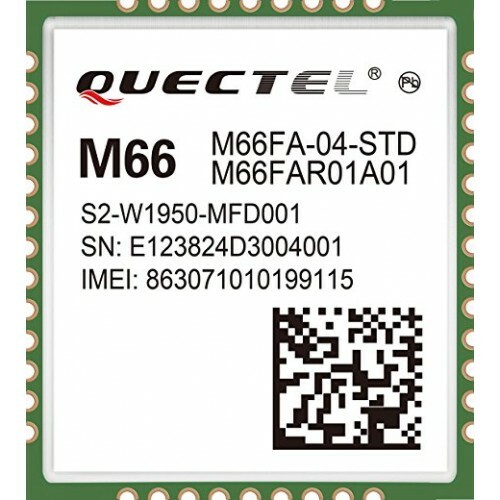 Look no further Quectel's M66 GSM/GPRS Module is one of the best that we have seen in Indian market. The best GSM based products manufacturers manufacturing products like GSM Pump starters, Remote GSM device control systems or GSM monitoring systems in India use Quectel Modules. Procurement of small quantities of M66 GSM Module was a big issue. Even we at DNA Technology had developed GSM based products based on Simcom modules because M66 module was not easily available in Market. Well that is now the past you can now even buy one module from our store and develop your product. We will support you for small as well as bulk quantity of any Quectel GSM as well as GPS Modules. M66 is an ultra-small quad-band GSM/GRPS module using LCC castellation packaging on the market. Based on the latest 2G chipset, it has the optimal performance in SMS & Data transmission and audio service even in harsh environments. The ultra-compact 15.8mm × 17.7mm × 2.3mm profile makes it a perfect platform for size sensitive applications. 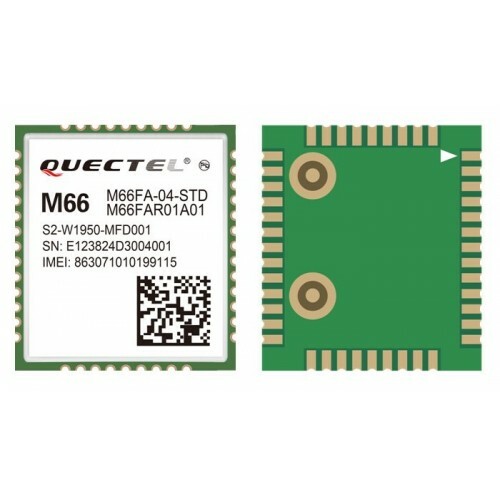 Quectel M95 GSM/GPRS ModuleLooking for rugged good quality and low powered GSM & GPRS chipset? &..